At the end of the transfer period, Fenerbahçe, which is having the worst season in its history with only four wins in 18 outings prior to today's match with Göztepe, couldn't make any major transfer and once again disappointed its already unhappy fans. The transfer of Nigerian footballer Victor Moses from English club Chelsea was the biggest name for Fenerbahçe in January. Moses signed a year-and-a-half loan deal with Fenerbahçe through to June 2020, the Turkish club announced last week. The 28-year-old right winger played six matches this season in Chelsea. In 38 matches for the Nigerian national team, he scored 12 goals. Separately, Serdar Aziz, the prominent center bank of the Turkish national football team, has been transferred from Galatasaray to the Yellow Canaries on a three-and-a-half-year contract. Following the deal, Aziz, 29, shared photos wearing Fenerbahçe jersey. Aziz missed Galatasaray's league match against Sivasspor just before Christmas after calling in sick with a stomach bug. But it was revealed that he was actually on holiday when his wife, Tuğçe, posted a photo on Instagram of her and Aziz in the Maldives. Due to Aziz's unprofessional behavior, Galatasaray's board decided to part ways with him. Aziz played in 51 matches at Galatasaray and scored five goals since the summer of 2016, when he joined the Istanbul team. Last season, he helped Galatasaray win the Super League title. In addition, Fenerbahçe winger Aatif Chahechouhe was loaned to Çaykur Rizespor. The left winger played four matches this season in Fenerbahçe. Both teams are in the relegation zone of the Turkish Super League. Brazilian footballer Robson de Souza, popularly known as Robinho, joined Turkish Super League leader Medipol Basaksehir. Robinho was transferred in from another Turkish club, Demir Grup Sivasspor. He scored eight goals in 16 matches for Sivasspor in the first half of the season. The 34-year-old forward and second striker played for top teams, including Real Madrid, Manchester City and Milan, in his career. He appeared in 99 matches for the Brazilian national team, scoring 28 goals. Three former Manchester City players will now be playing in Medipol Başakşehir – Robinho, Emmanuel Adebayor and Gael Clichy. Turkish football giant Galatasaray made a sudden last-minute move before the transfer window closed, signing Greek forward Konstantinos Mitroglou from French club Olympique Marseille on loan. Galatasaray started the official transfer talks with Olympique Marseille for Mitroglou for one-and-a-half year, a statement issued on Turkey's Public Disclosure Platform (KAP) said Thursday. The 30-year-old forward scored three goals in 20 matches for Olympique Marseille this season. 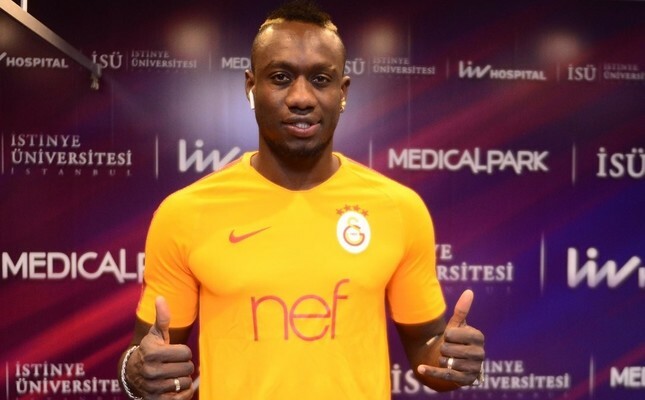 Galatasaray also signed Senegalese striker Mbaye Diagne from Turkish Spor Toto Super League club Kasımpaşa late Wednesday. "Official talks with Kasımpaşa about Mbaye Diagne's transfer have started," Galatasaray had said on Twitter. Diagne, 27, is this season's top scorer in the Super League, netting 20 goals in 17 league appearances for Kasımpaşa. Another transfer news came from Semih Kaya, a former player for the Lions. The Czech club Sparta Prague's Turkish defender Semih Kaya has returned to Galatasaray on loan for the second half of the season, the Istanbul side announced. The 27-year-old Turkish international signed with the reigning champions on a loan contract that runs until June 2019, Galatasaray said. It will pay TL 3.76 million to the defender and will not pay a transfer fee to the Czech club. At the beginning of the season of 2017-2018, Kaya moved to the Czech Republic from Galatasaray with a transfer fee of 2 million euros. Kaya has a contract with Sparta Praha until June 2020. He played 12 matches in this season in the Czech club. Meanwhile, the current league leader Medipol Başakşehir has transferred Senegalese forward Demba Ba on loan. It transferred the 33-year-old footballer from China's Shanghai Greenland Shenhua for the second half of the season. Forward Ba will play for Başakşehir until June 2019. The Senegalese forward returned to Turkey from China to play for the current league leader, after playing for Turkish football clubs Beşiktaş and Göztepe before. The Istanbul club Başakşehir strengthened its position to lead Turkey's top tier football league after beating rival Trabzonspor in their first match in the second half of the season last Sunday. Turkey's Super Toto Super League has been surprising the followers in the 2018-2019 season as heavyweights Beşiktaş and Fenerbahçe remain far from the top spot. The most striking story of the January transfer window was of Galatasaray's 18-year-old Turkish defender Ozan Kabak being transferred to Germany's Bundesliga club VfB Stuttgart. "Galatasaray started the official talks with VfB Stuttgart 1893 AG club for the transfer of our professional footballer Ozan Muhammed Kabak," the Turkish club had announced and shocked everyone two weeks ago. The Turkish defender played 13 Turkish Super League and four UEFA Champions League matches this season for Galatasaray. Dutch winger Ryan Babel has moved to Premier League club Fulham from Turkey's Beşiktaş. The 32-year-old left winger will play for Fulham until end of this season, the Premier League club said. He played 19 matches and scored 6 goals this season in Beşiktaş. "My biggest wish was to say goodbye in a full Vodafone Park with a mic in my hand to show my gratitude and appreciation all the people from Beşiktaş," Babel said in Instagram. "I will continue to follow the club and l am sure you will be successful again," he added.